Whenever your home in Parker is suffering from the effects of a roof leak, sewage spill, pipe burst, or flood, call 911 Restoration Denver right away for quick and reliable water damage restoration! Water damage Parker IICRC certified team has all the necessary training and equipment so you can receive only the highest quality of restorations. Whenever you need immediate assistance, you can count on us to be there within 45 minutes of your call so we can patch up that leak as soon as possible. When water damage strikes in the form of a rook leak or pipe burst, it needs to be addressed right away in order to prevent any other potential problems like hardwood floor rot or mold growth from occurring. With 911 Restoration’s lighting fast response, you can expect our water damage Parker technicians to get to work on the issue right away. When we arrive, we will begin our restoration work by providing you with a free assessment on the current condition of your property. This will allow our water damage Parker specialists to locate the source of the leak and to offer you our recommendation on the best course of action. Our technicians will be using advanced drying equipment like vacuums and infrared cameras to detect and extract water out of your home efficiently. Our water damage Parker professionals will even check the hard to reach sections of your home like the attic, crawlspaces, and the space between the drywalls. We’ll also be checking for any signs of mold growth. Our water damage Parker team is available 24/7/365 to provide you with complete solutions for all of your water damage concerns. We want to make sure you can get a fresh start! 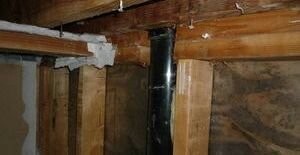 Don’t let that leak, pipe burst, sewage backup, or flood ruin your home. 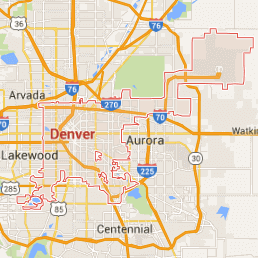 Turn to 911 Restoration Denver for immediate assistance. Our water damage Parker team will work with speed and care throughout the job. We have over three decades worth of experience in helping homeowners deal with water damage in all shapes and sizes. With our quick response, breadth of experience, and use of advanced equipment, we’ll make sure that you get a fresh start through quality water damage repair and restoration. If your home or office is already taking on water from any source, then contact our water damage Parker team with 911 Restoration Denver today!